As an online retailer you rely on traffic to your website to drive your sales and provide you with important statistics on how users found your website and where they came from, all of which is valuable information which enables you to plan your marketing strategies. Product feeds are structured data files which contains information relating to your products. This information can then be submitted to external organisations/websites, which can be an important part of increasing your exposure levels. Google have had systems in place to handle product feeds for a number of years and their current tool is known as the Google Merchant Center. Within the Google Merchant Center you are able to upload your listings for use in Google Shopping, Google Product Ads and Google Commerce Search. Each of these areas provide their own benefit and your product feed can be tailored depending on your target country. Once the feed has been verified by Google (dependant on each country’s specifications) your products will be available to search on Google Shopping. These product feeds can also be tied into your active Google AdWords campaigns (if you have linked the two accounts) so that you can serve your products directly to potential customers using Product Listing Ads. When coupled with a targeted PPC (Pay Per Click) campaign, you can potentially glean important information about your customer base and how their searches relate to your website. Price comparison websites such as shopping.com and Kelkoo product feeds from multiple merchants and aggregate the data for customers. These sites have become increasingly popular in recent years especially in regards to financial services (look to websites such as comparethemarket.com, moneysupermarket.com, confused.com etc.) and while this trend may not have been mirrored to the same extent in standard consumer ecommerce, a good proportion of users do utilize these types of sites for their online shopping. Selling on a marketplace can be good way to kick-start your business and gain wide exposure for your product catalogue. 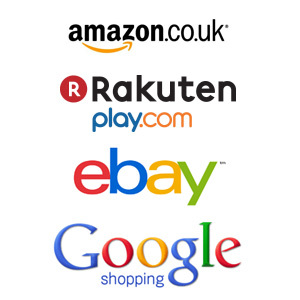 Utilising marketplaces such as eBay, Amazon and Rakuten’s Play.com enable you to provide exposure for your product catalogue to an audience you previously may not have had access to. However, this does come at a cost as these marketplaces will either charge a monthly subscription fee and/or a percentage fee per sale. a flat file solution is suited to those customers that have a catalogue of around 1000 products. This system involves uploading a prepopulated data file to the marketplace, with all valid changes actioned in due course. a direct integration involves setting up your ecommerce system to interact directly with the marketplace so that any changes you wish to make to your product catalogue are then queued up and sent to your chosen marketplace. This is done in the background and requires no additional user interaction. A properly integrated product feed system can be a great asset to your business and can potentially help your business expand and are definitely worth considering. If you need any further information or advice on product feed systems, don’t hesitate to contact a member of the Rapid Web Services team.